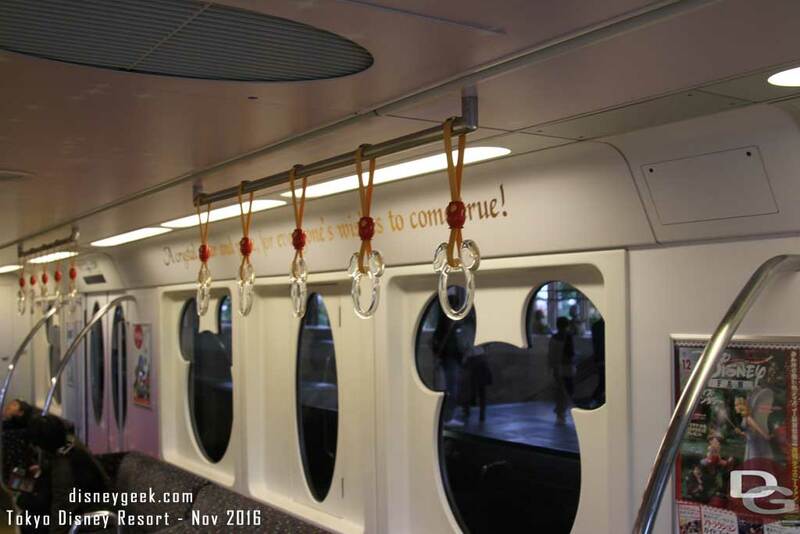 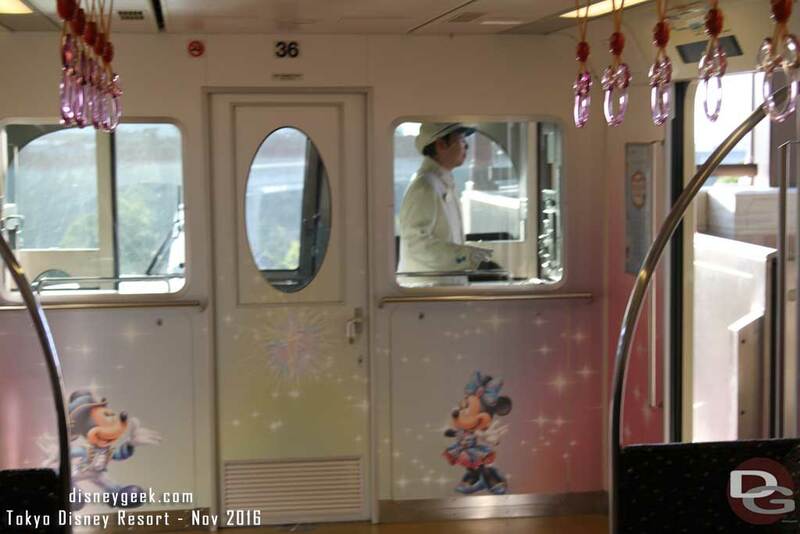 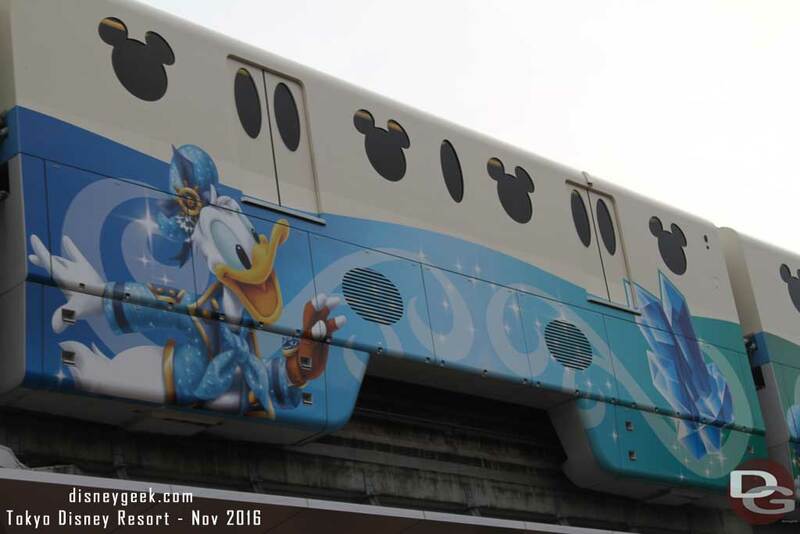 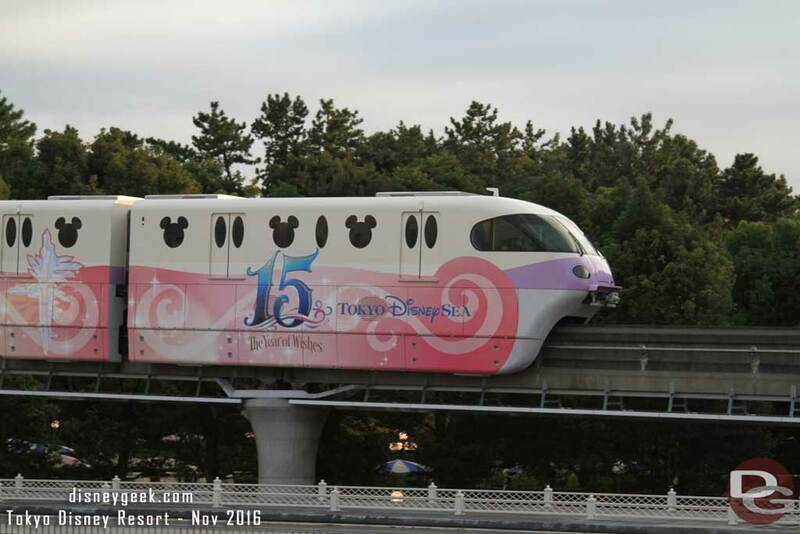 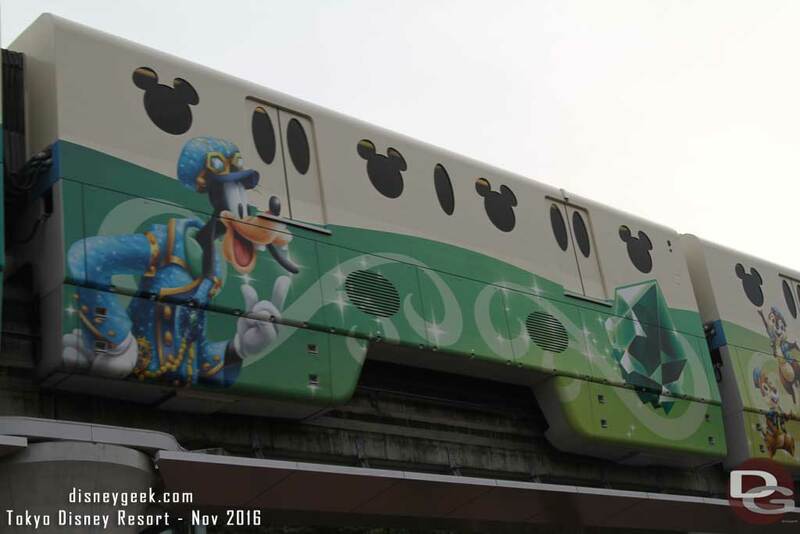 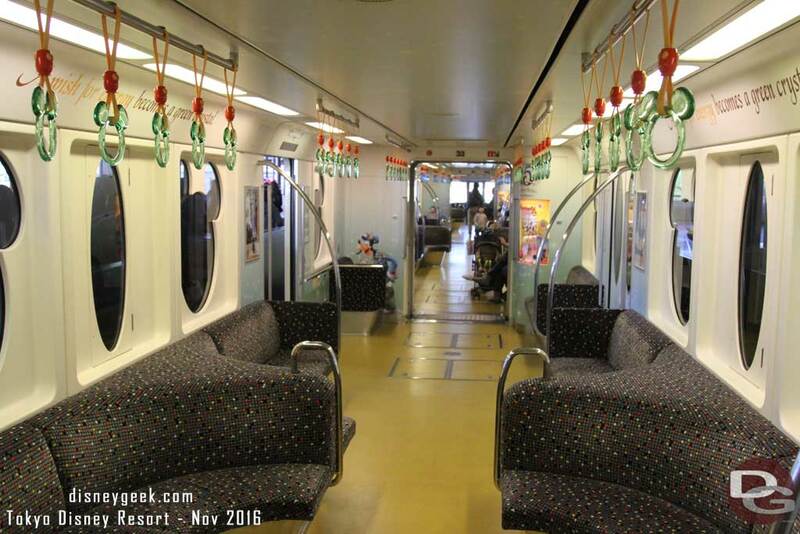 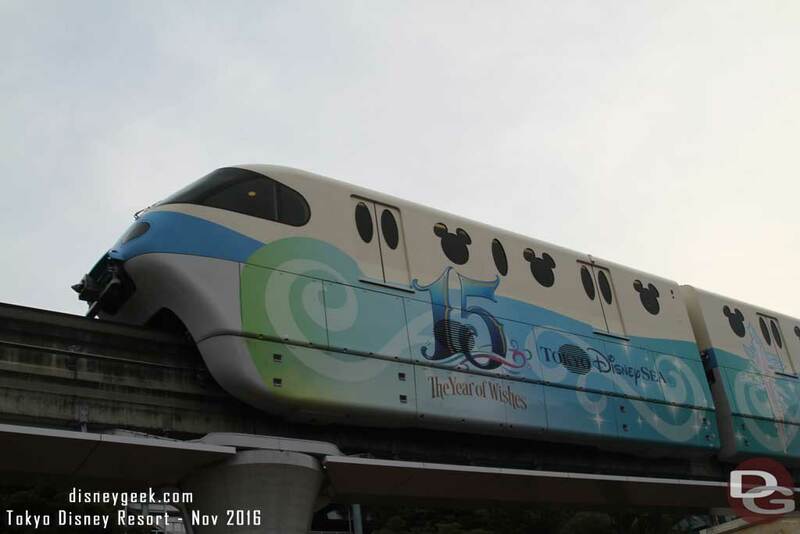 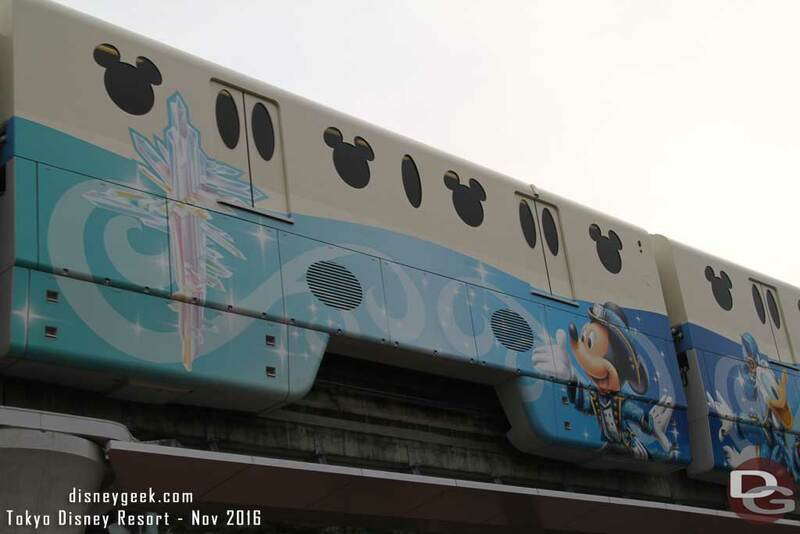 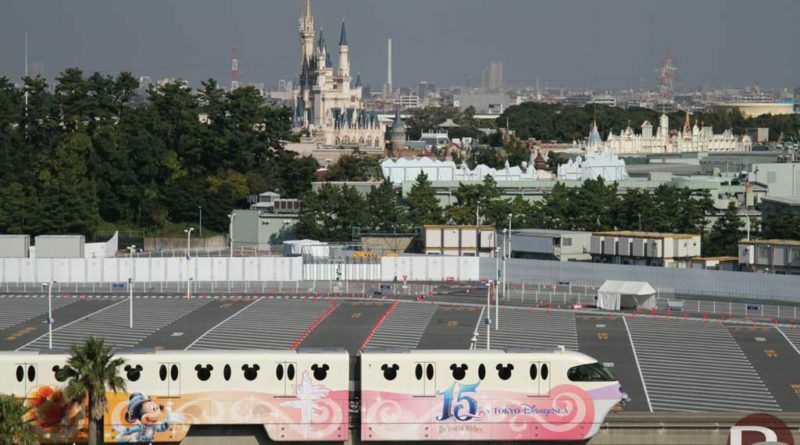 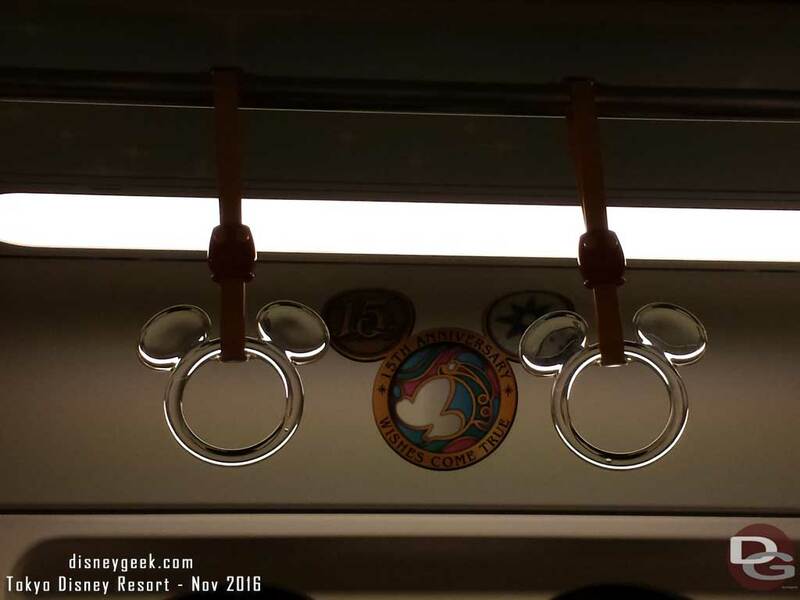 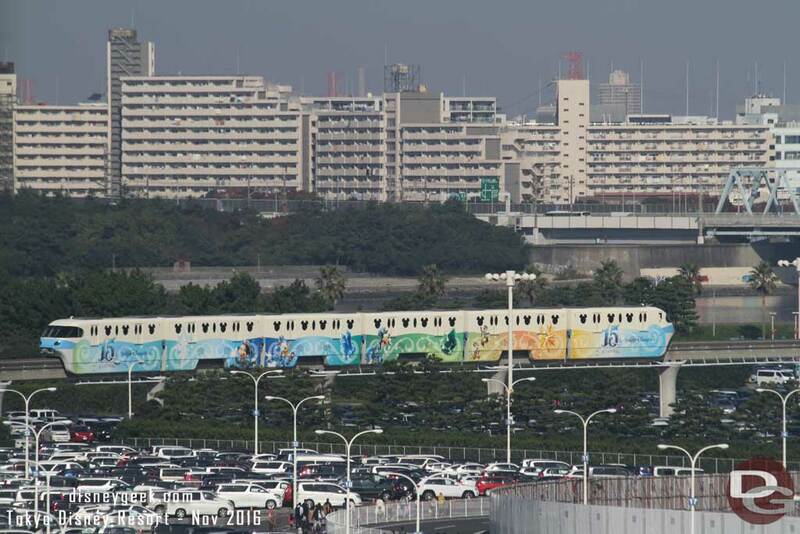 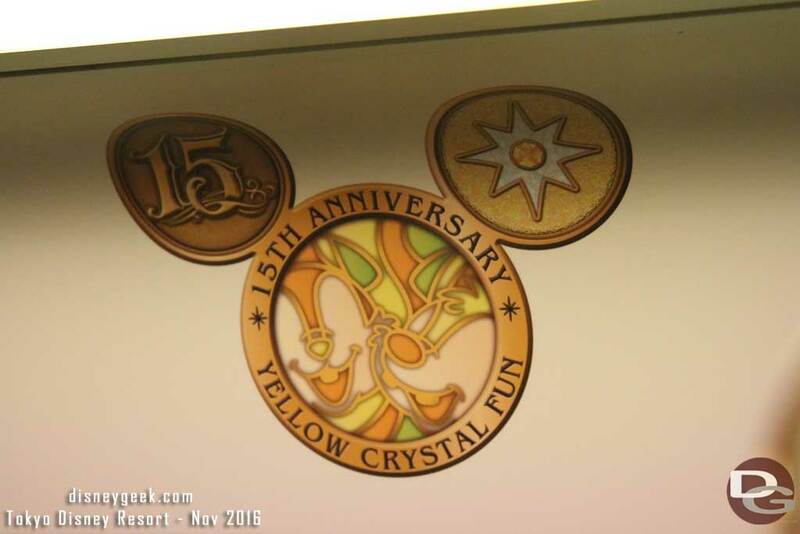 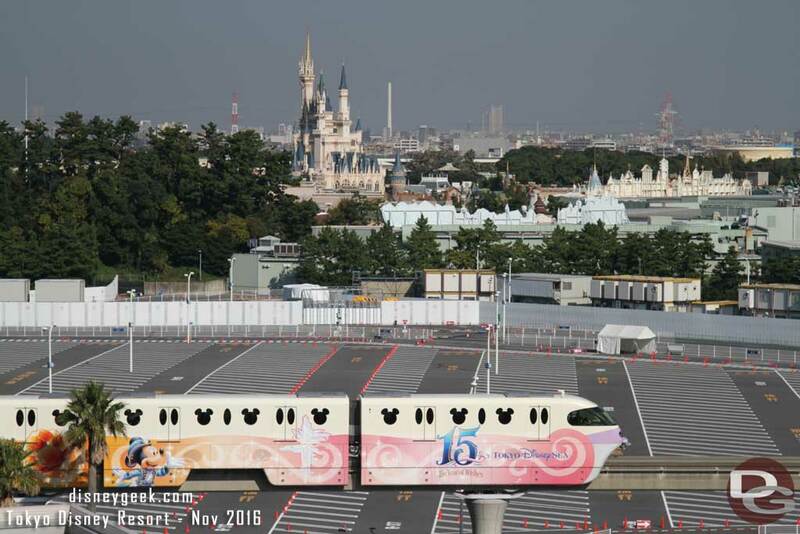 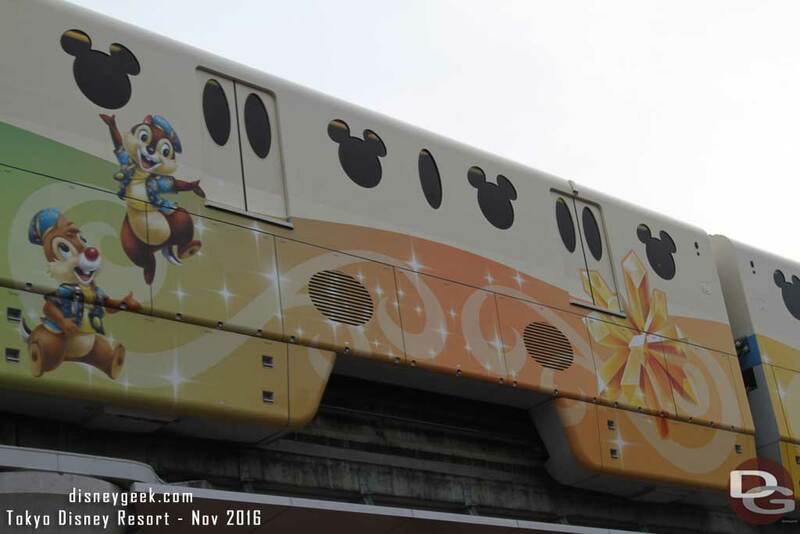 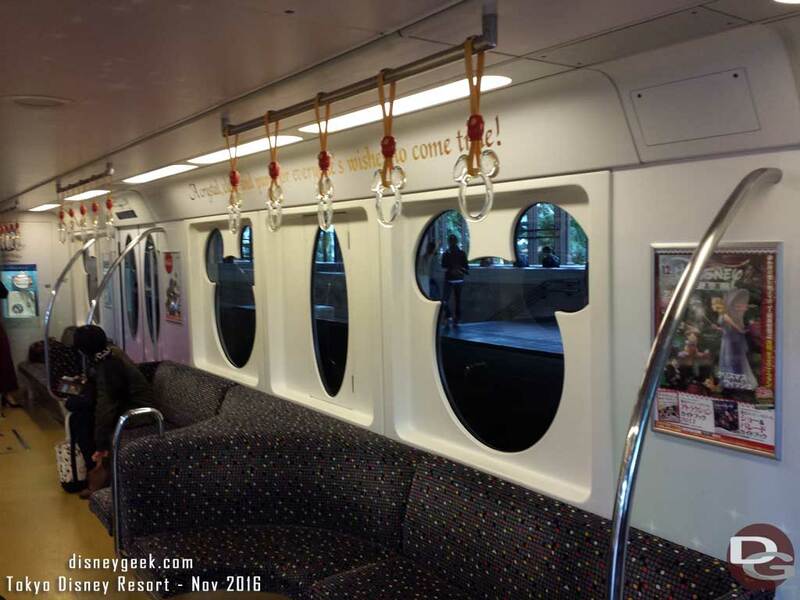 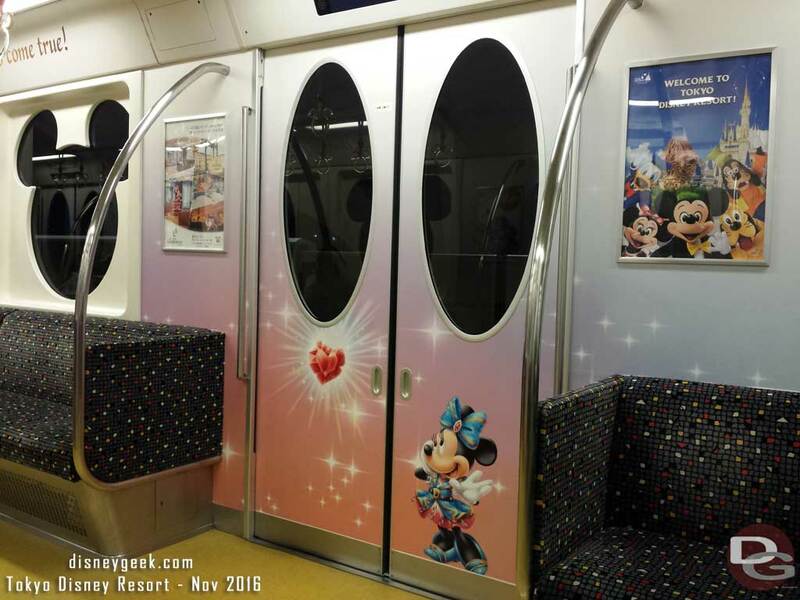 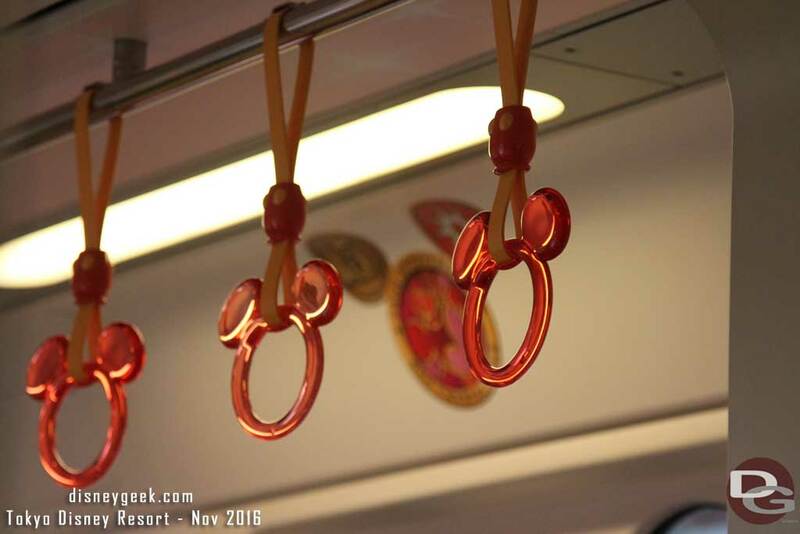 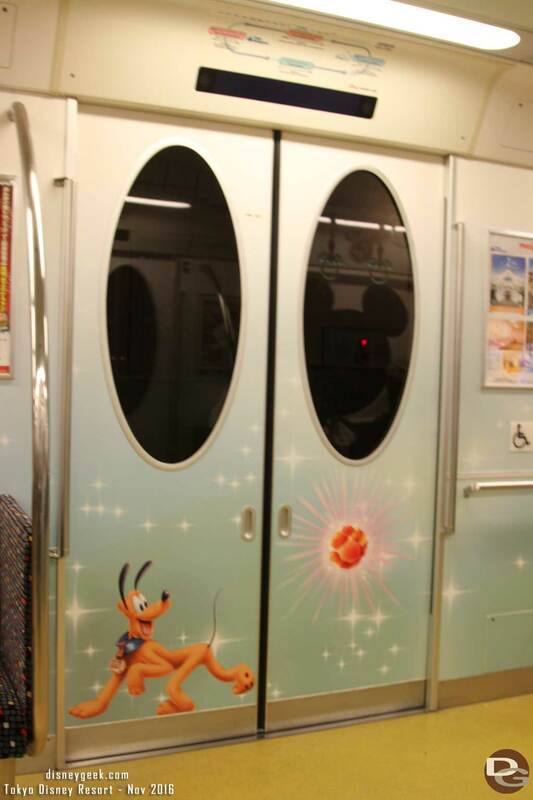 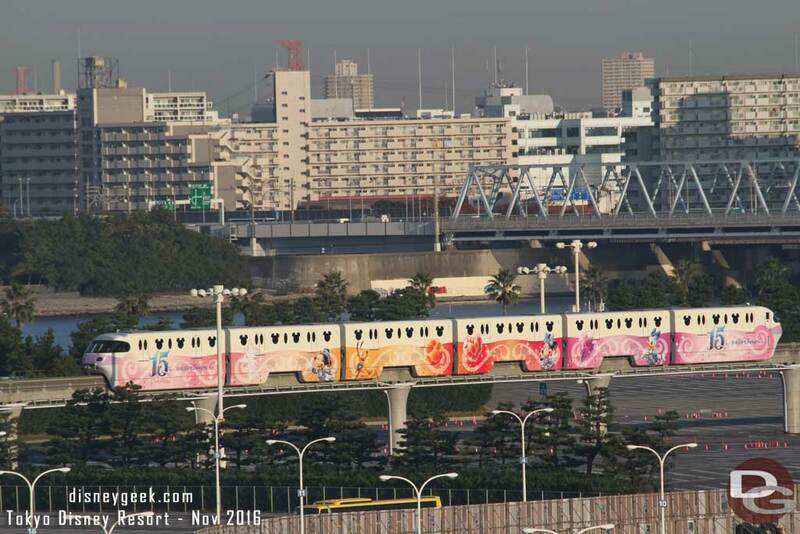 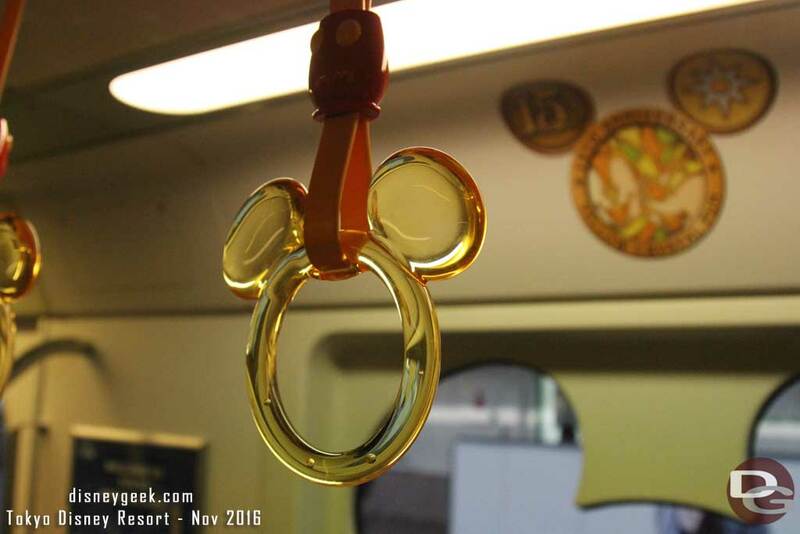 The Tokyo Disney Resort Line Monorails receive overlays/decorations for some seasons and events. 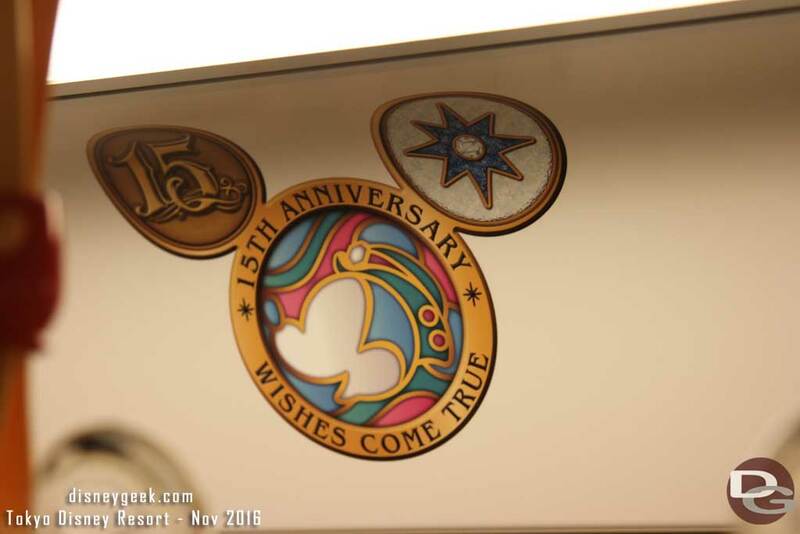 To celebrate the 15th Anniversary of Tokyo DisneySea the Year of Wishes promotion was going on. 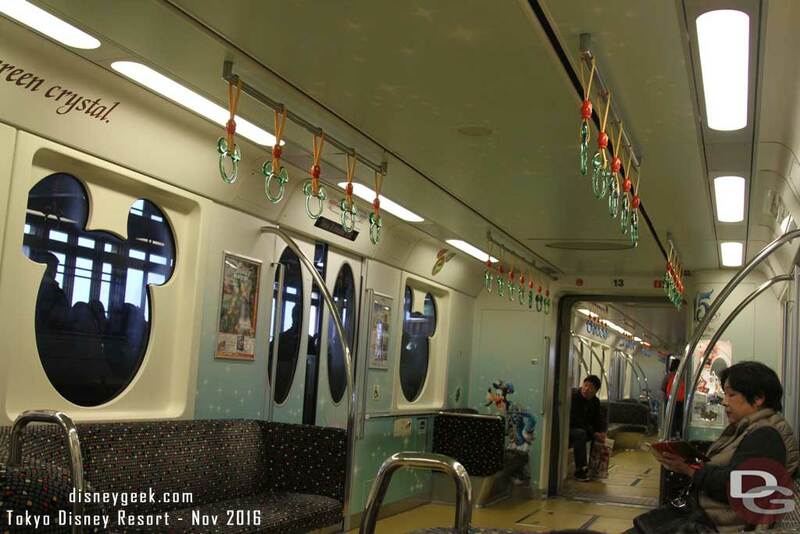 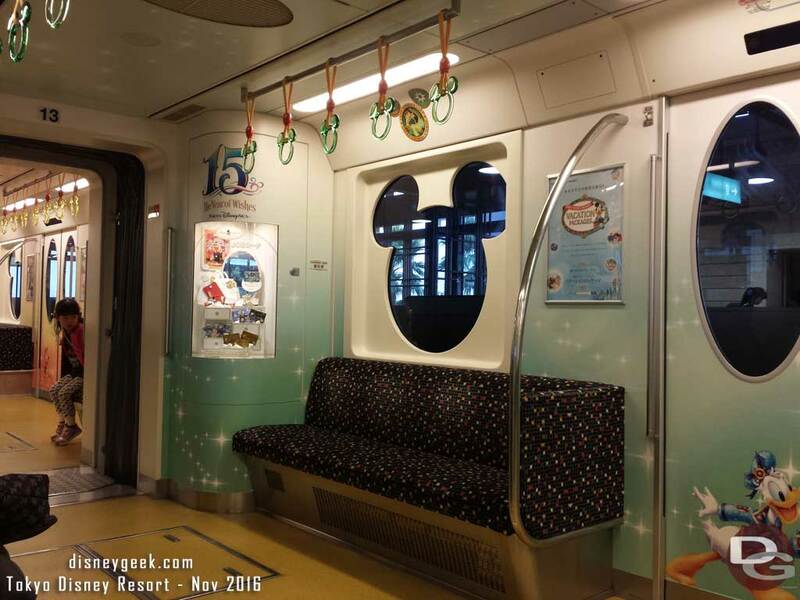 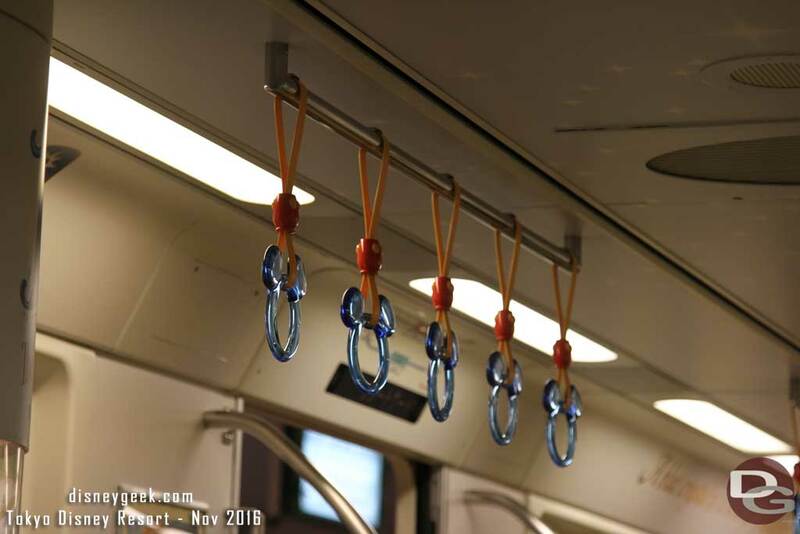 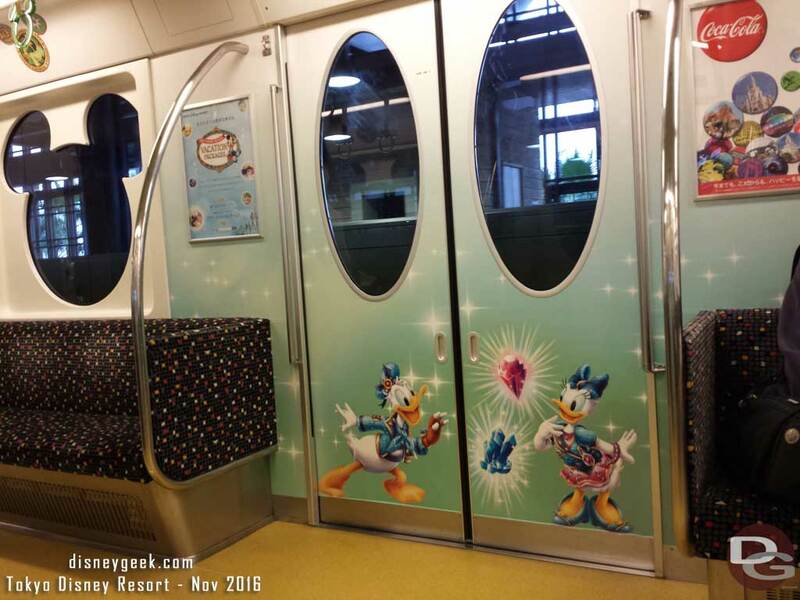 Two of the trains received overlays both inside and out to become Year of Wishes Liners. 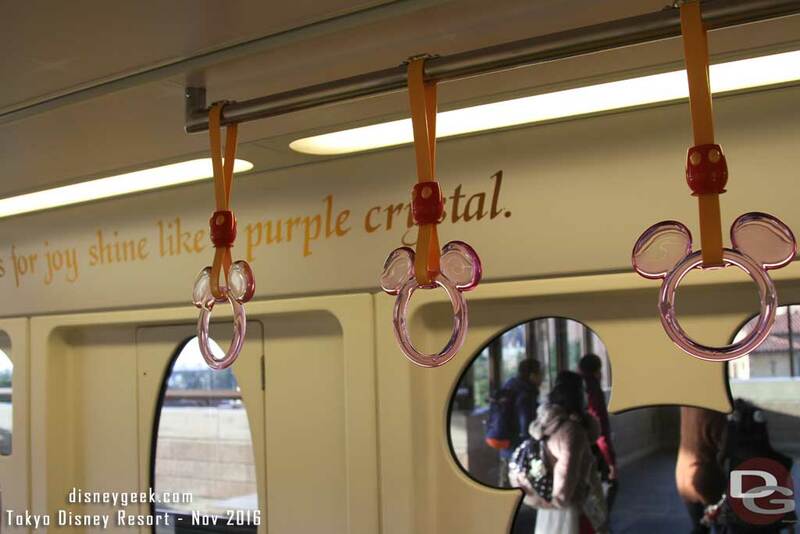 These overlays included graphics on the outside of the trains and then inside color scheme graphics, text and crystal handholds to match the crystal for each car. 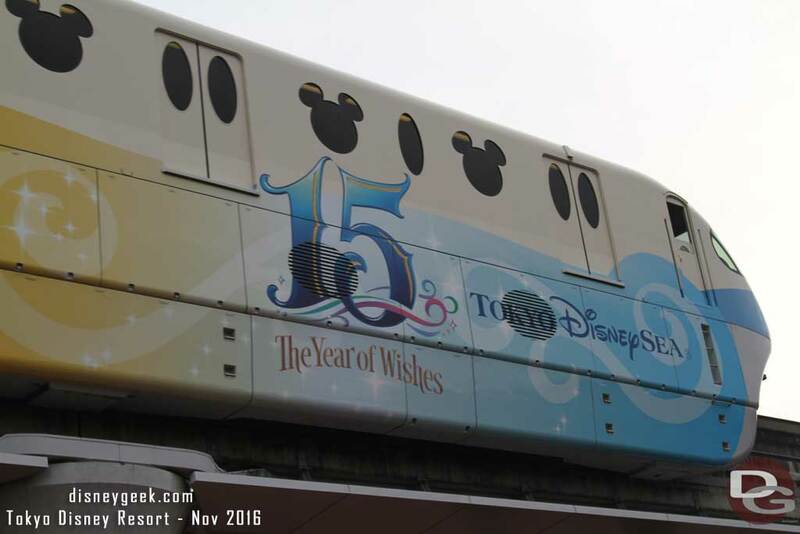 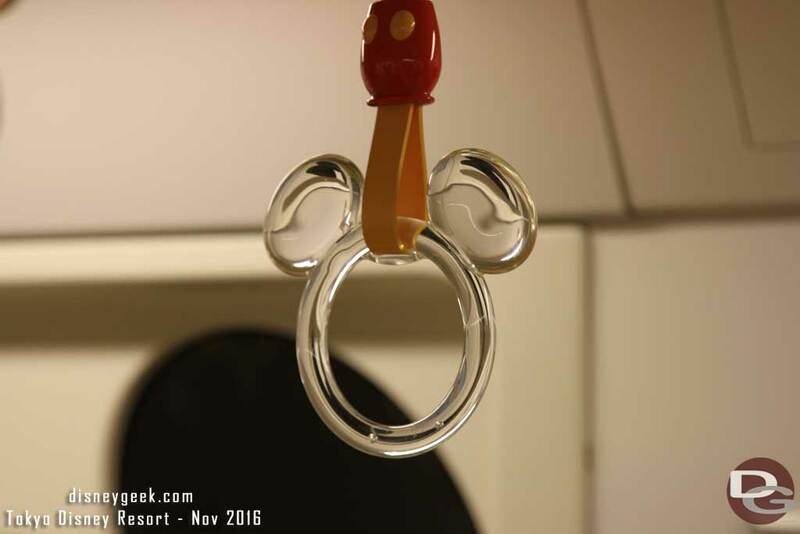 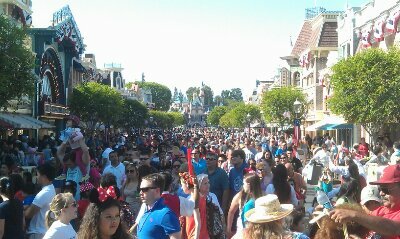 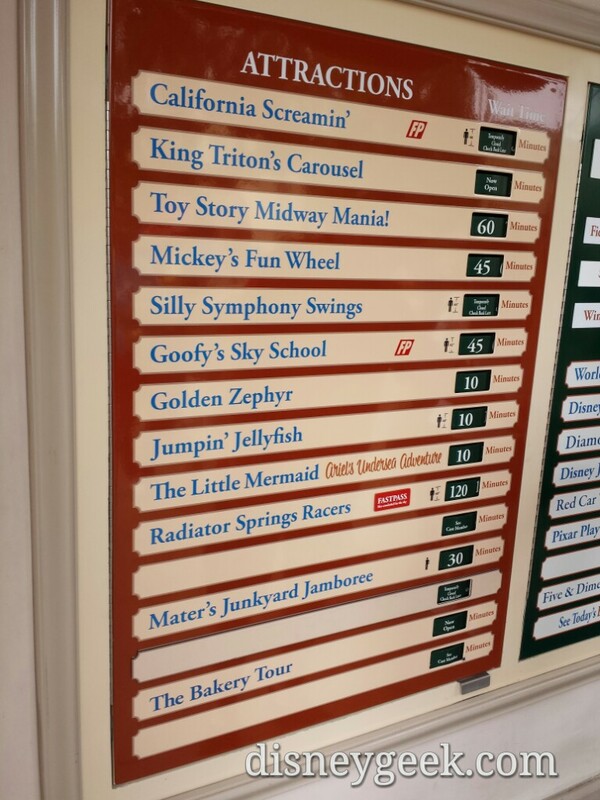 For more pictures from this trip be sure to visit our 2016 Tokyo Disney Trip Summary Page. 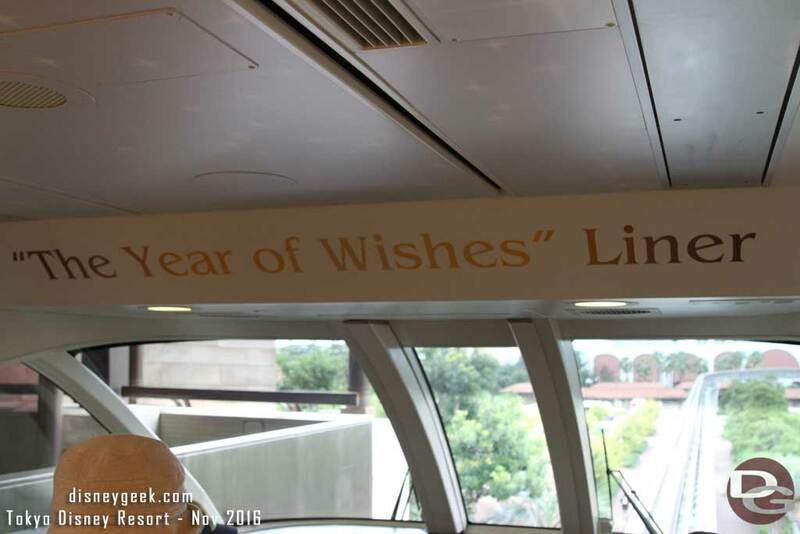 The front has a The Year Of Wishes Liner signage. 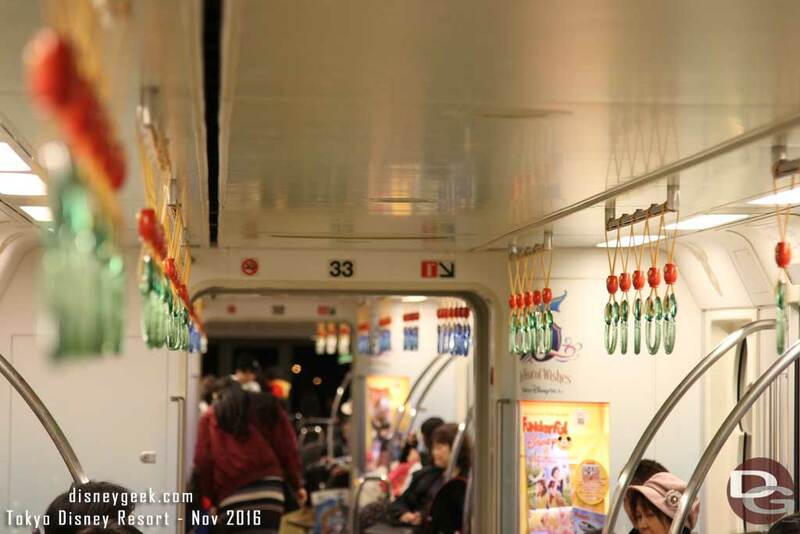 Looking down the train. 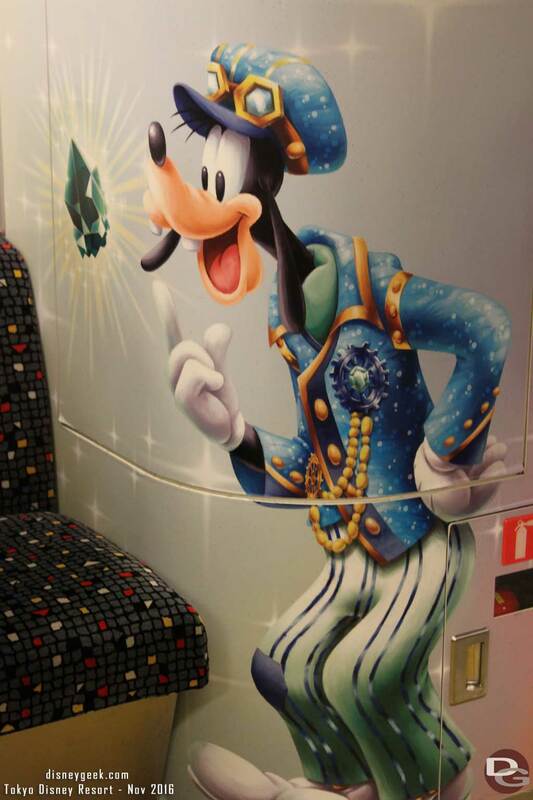 The handholds in each car match the color crystal on the outside and other graphics inside match.